The other day I ended up coming across this artist in Winterpark|Orlando, at an art exhibition, who draws incredible art and uses gold and thread to enhance her art.You can see her beautiful art at: http://www.amandaoutcalt.com I got a piece of art from her , the name of it is Jeremy the snail that is “Looking For lOVE”. His Story is Quite Unique and I decided to post about it here. Jeremy won international fame for a mutation that caused his shell to coil left instead of right. For years, people searched for another lefty snail with which he could mate. Shortly before his death, she was found. His legacy will continue in the genetic knowledge gained from the lefty snail offspring they produced together. Jeremy was discovered in a compost heap in South West London by a retired scientist from The Natural History Museum. He recognized Jeremy was special and notified Angus Davison, an evolutionary geneticist at the University of Nottingham in Britain who studies snails. Dr. Davison wanted to know if Jeremy’s left-coiled shell was inherited or just a strange developmental mishap, and for that he needed offspring. He took Jeremy into his care and appealed to the public to find him a mate with the hashtag #leftysnail. The media followed with #snaillove, and Jeremy became a star. He even inspired a love song. You might remember Jeremy from our previous coverage, as reported by NPR’s Merrit Kennedy. Jeremy, a brown garden snail, has a shell that twists in the opposite direction from most snails. It’s an extremely rare trait. Because Jeremy’s mating apparatus is also unusually situated, and he’d only be able to mate with another left-twisting snail, he seemed fated for a life of unwilling chastity. Until the scientists got involved. A BBC callout prompted a global search for a potential partner. Along the way, Jeremy became famous. 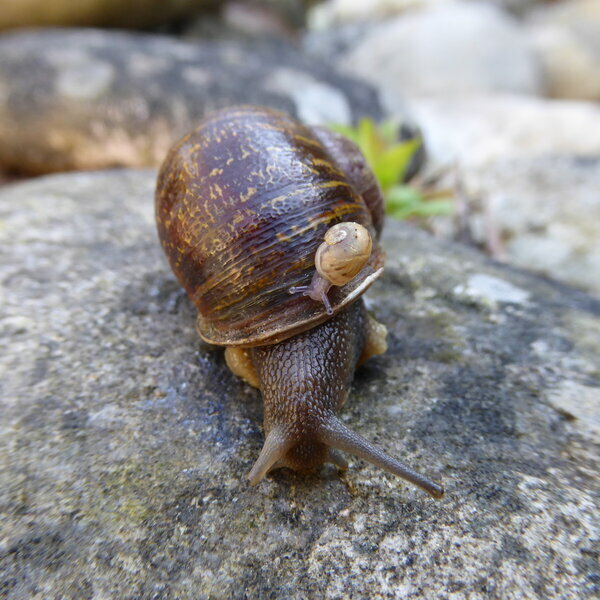 And two other snails were located — Lefty, from Ipswich, and Tomeau, from Majorca, Spain. If you’re thinking, “my God, this sounds like a tragic love ballad,” then you should be friends with Lydia Hiller. She thought the same thing … and then she wrote it. Jeremy was found dead on Wednesday. But “the sad news comes with a bittersweet twist,” writes the University of Nottingham. 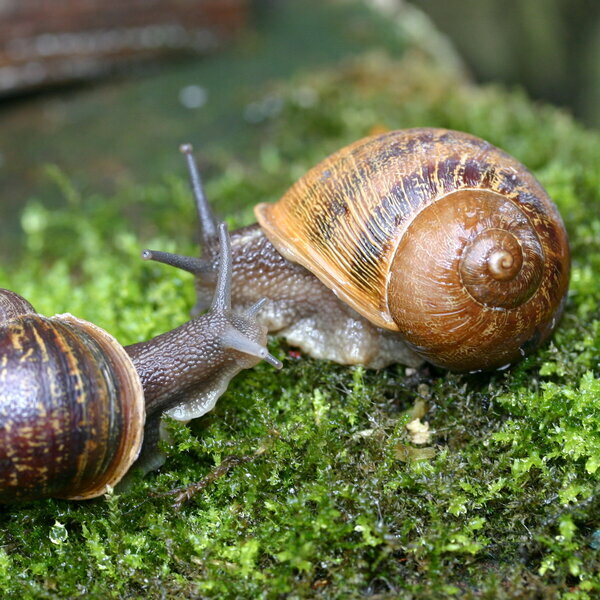 “The way snails mate is “fantastically bizarre,” Davison says. The carnal act is known as ‘traumatic insemination,’ and copulation kicks off by mutually stabbing each other with ‘love darts’ — tiny calcium spears that transfer a hormone. Snails are simultaneous hermaphrodites, he says, meaning that they are both male and female at the same time and will ‘reciprocally fertilize each other’ and ultimately each produce offspring. Jeremy mated with Tomeau, the Spanish left-coiler, and Tomeau has now produced a batch of 56 baby snails. About a third of those are likely to be Jeremy’s offspring, while “the remainder will be the result of an earlier liaison with Lefty before its return to Ipswich,” the university writes. Jeremy’s children won’t face the same struggle he did. They are all — every one — right-coilers. Last year, Davison and some colleagues “revealed they had discovered a gene that determines whether a snail’s shell twists in a clockwise or anti-clockwise direction,” the university writes. The research isn’t over now that Jeremy is gone. 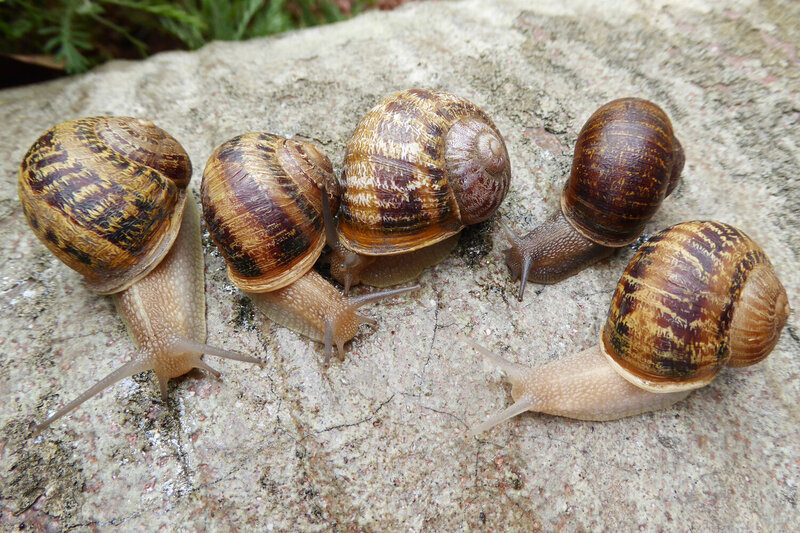 In addition to Lefty and Tomeau, Davison was alerted to the existence of four more sinistral snails, as they’re formally known, all from a farm in Spain. And, of course, they have a new generation of little snails to study. It’s all thanks to the initial search, prompted by Jeremy’s Lefty Lonely Hearts Club. From the humble compost heap where he was discovered to the hearts of an adoring public and the eternal fame of scientific study … Jeremy truly came a long way, for such a little snail. And now that he’s passed, he inspired one last song — a eulogy.